We originally had a survey from Dynorod with reference to obtaining a CCTV report to show that the flow etc of our new guttering from our granny annexe was all ok. After recieving the final report we were shell shocked to hear that they had reccommended for us to install a mini pumping station in order to increase the flow., at a cost of between £3000-£5000. Also the CCTV report had initially cost us £260. Therfore i needed a 2nd opinion. This is when i contacted Drainage Experts. From the outset the propieter, Daniel was extremely professional and knowledgable and when he came round, he helped my builders dig up the entire run of piping and rectified the problems i was facing and continuosly worked in 30 degrees of heat until the job was done. The problem has now been rectified and i can honestly say that i have never met or encountered such a professional and honest individual like Daniel. I am extremly sattisfied with the results and would not hesitate to reccomend Drainage Experts to anyone...........Also stay clear of Dynorod as this company is the most dishonest i have ever encountered. Once again....WELL DONE DRAINAGE EXPERTS & DANIEL for a wonderful and honest SERVICE!!!!!!!! We have been having a damp problem in our basement and we had dyno rod and 2 other major drainage companys trying to figure the problem with a lot of cost and no solutions,then we were recommended to drainage experts by a surveyer and on their first first visit they diagnosed the problem within an hour. These guys do know their stuff and being a small family run buisness there was definitely a personal touch unlike the others they were just interested in chargeing as much as they could. I cant praise these guys enough after having this damp problem for nearly 12 mts now its been 8 mts on and the damp is gone wheyhey. I USED THESE GUYS FOR A CCTV SURVEY AFTER ANOTHER DRAINAGE ENGINEER COULD'NT FIND THE FAULT. THEY KNEW EXCACTLY WHAT THE PROBLEM WAS THEY GAVE ME A COMPETITIVE QUOTE AND THATS THE LAST PROBLEM IVE HAD WITH MY BLOCKED DRAIN SINCE. What a fantastic and informitive site on all things drainage,ive also asked for some advice and you were so friendly and helpfull,keep up the good work wish other websites were as informitive as this site. 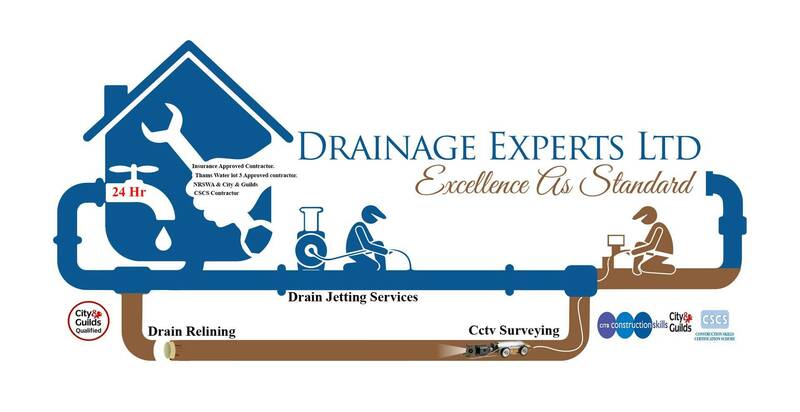 Michael was recomended by our maintenance department as being an expert in drainage works and he certainly was,we now use drainageexperts for all our propertys surveys and find them very professional & polite.we would certainly recommend them. michael was recomended by our neighbour and glad we used drainageexperts,there had been a problem with leaking in our basement and several people including plumbers looked at it but couldnt find the fault,michael did within an hour and fixed it,it was a leaking collar on our underground drainage line seemingly it had been a problem for a long time.thanks again drainageexperts for being so professional. we needed a septic tank and after speaking to several contractors decided on drainageexperts,we spoke to michael who seemed far more experienced than others we had spoken to,michael oversaw everything without a hitch and we were saved £1800 on previous quotes,cant thank you enough this was done march 06 and glad we used your services.